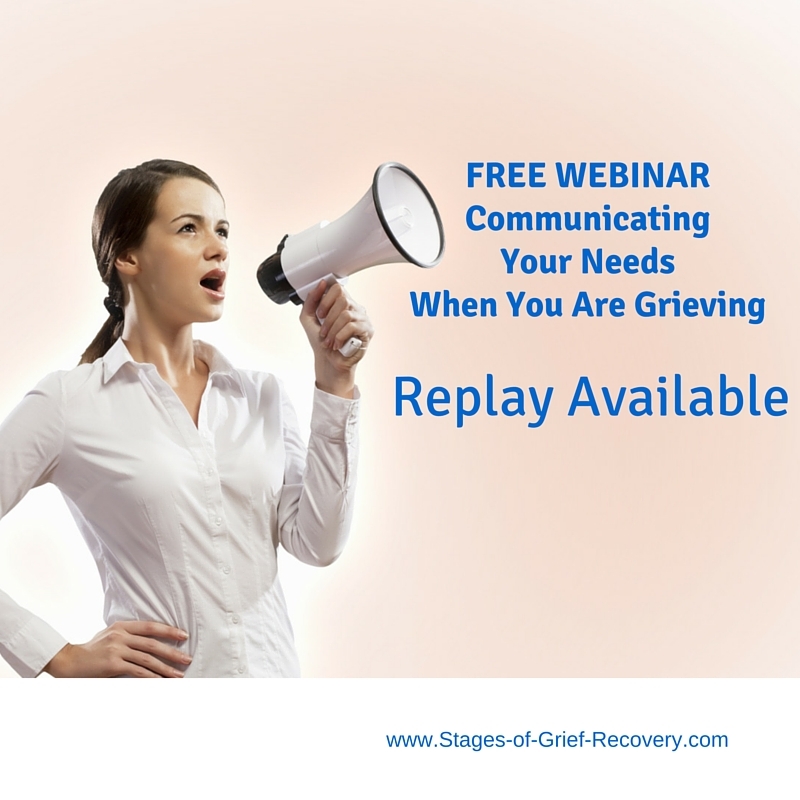 When you’re deep in grief, struggling to recover from a significant loss, have you noticed how many well-meaning friends just “don’t get it?” Listen to this free webinar to learn more about grief, tools for communicating your needs, and walking the road of recovery. Free to Register. Enter your name and email address to receive the webinar replay details. We will not rent, share or sell your contact information. In this 60 minute webinar we will look at key aspects of communication after a significant loss. We will identify several myths about grief that well-meaning friends and family share that give us wrong information about what we need. We will identify assumptions that people around you may have that interfere with them being present when you need them. What you can do when other's "helpfulness" is really annoying you so you don't alienate people who care. Discover specific strategies for communicating your needs that you can implement right away. Do you have a friend that is dealing with grief? This webinar is for you too! You will learn several helpful things you can do and say to soothe you friend's broken heart.